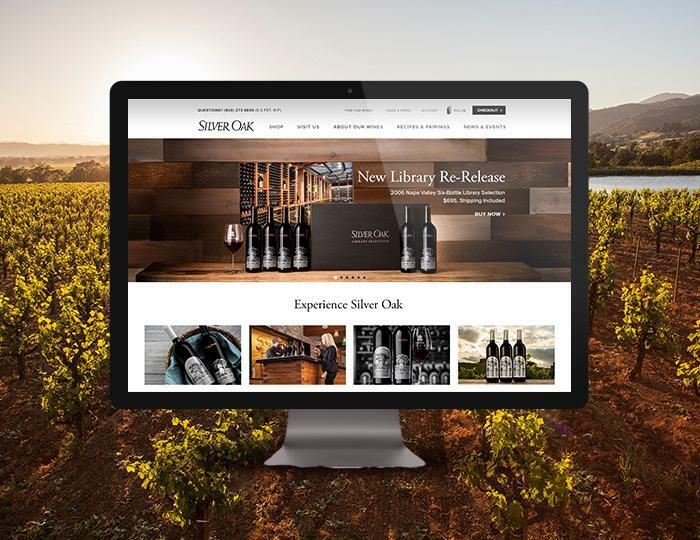 Cuker recently partnered with renowned Napa Valley winery Silver Oak Cellars to launch a website design refresh in preparation for the 2014 holiday season. The website enhancements support the iconic Silver Oak brand, which is highly celebrated for its premier Cabernet Sauvignon. The website design updates include a refreshed homepage with a modern design, and an enriched content strategy that incorporates branded content to enhance the digital storytelling. The new design integrates social media to increase engagement among Silver Oak fans and showcases their official hashtag, #LifeIsACabernet. The shopping and checkout processes were also streamlined to deliver an optimal user experience for customers. “We are always looking to improve the digital experience for Silver Oak customers. As our partnership with Silver Oak continues to grow, we’re constantly looking for new ways to create the best digital strategy for the brand,” said Aaron Cuker, Chief Creative Officer at Cuker. The new Silveroak.com website happened to launch just as the recent earthquakes struck the Napa area. While the winery fared well with no injuries and limited damage, the Cuker and Silver Oak teams responded instantly by promoting links to donate to the Red Cross Napa Chapter on the new website. About Silver Oak Established in 1972, Silver Oak Cellars is the premier Cabernet Sauvignon winery on the West Coast. Silver Oak is located on two separate estates in Alexander Valley and Napa Valley, California. As an industry leader, Silver Oak devotes all resources into producing a “deliciously drinkable” Cabernet Sauvignon.